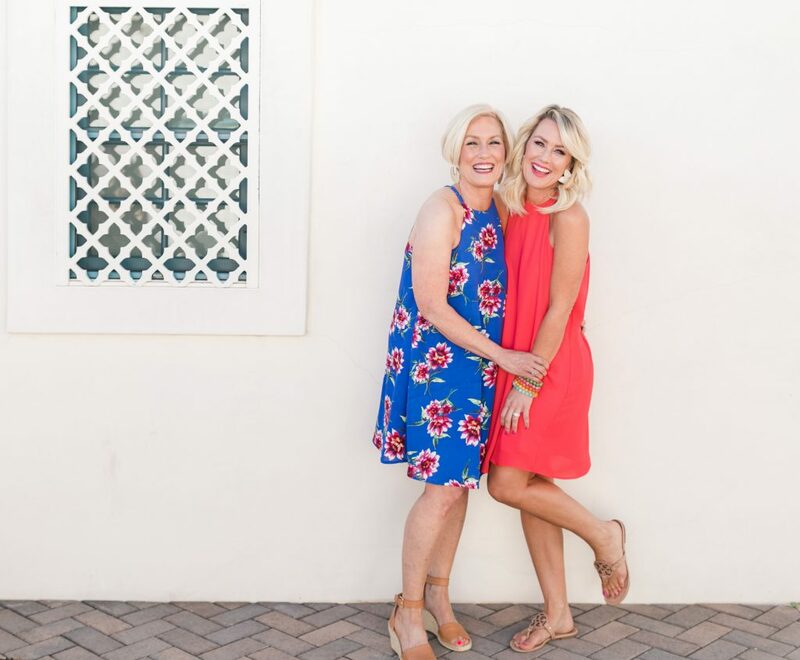 Resort Collection Restock is Here + New Colors & Patterns! | hi Sugarplum! Happy Monday, lovebugs!! 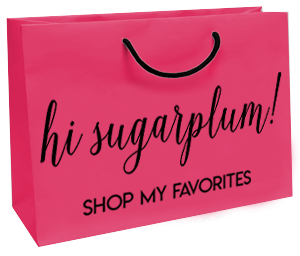 I’ve got a fun surprise today…our first round of restocks for the Gibson x Hi Sugarplum Resort Collection are live online at Nordstrom!! 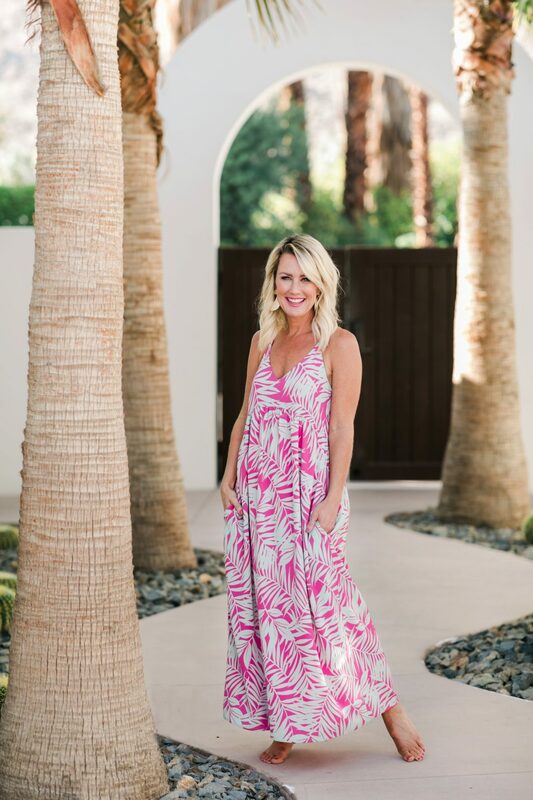 Not only did we fully-restock the most popular colors of the Palm Springs Maxi, Naples Halter Dress, and Catalina Ruffle Romper…but we added new color ways and patterns, as well! 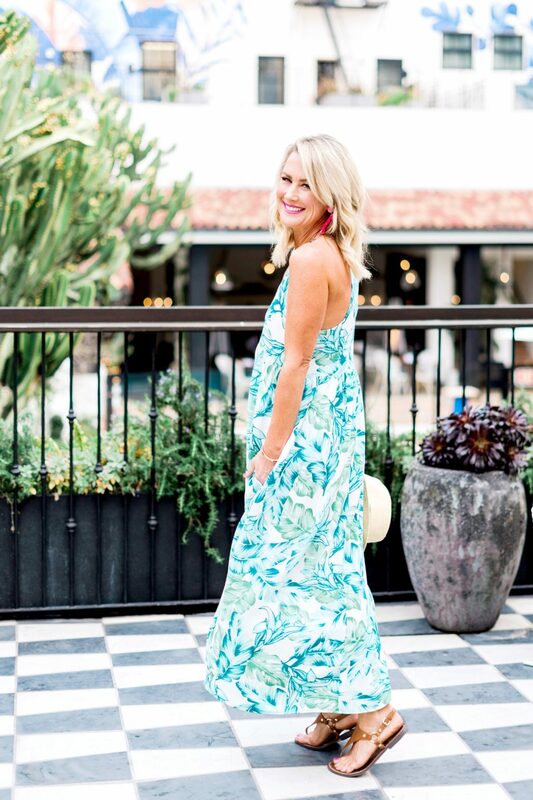 The Palm Springs Maxi Dress was a true reader favorite, and sold out in a few hours on launch day! 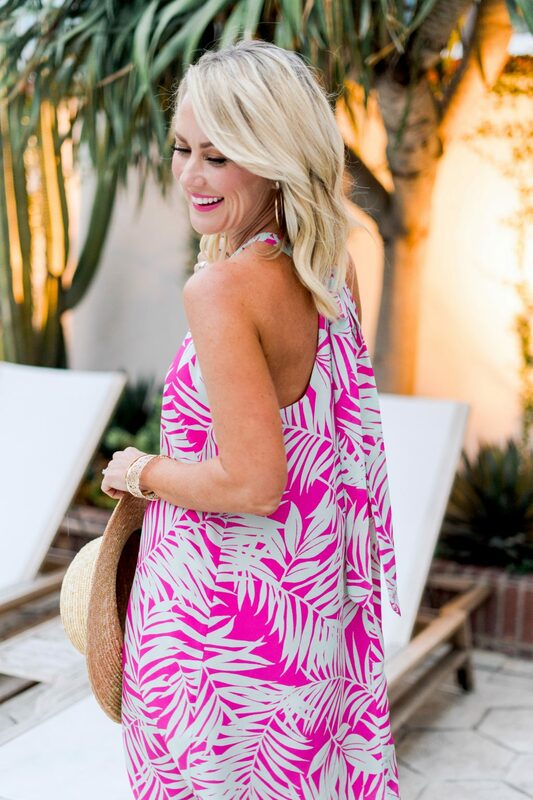 I’m thrilled to introduce it in the popular Pink Dahlia print, plus a Tropical Palm, and stunning Santorini Blue. We also restocked all sizes in Black and Pink Fern. Fit Tip: I’m wearing a regular XS, and wear it with a strapless bra or this stick-on Nubra. 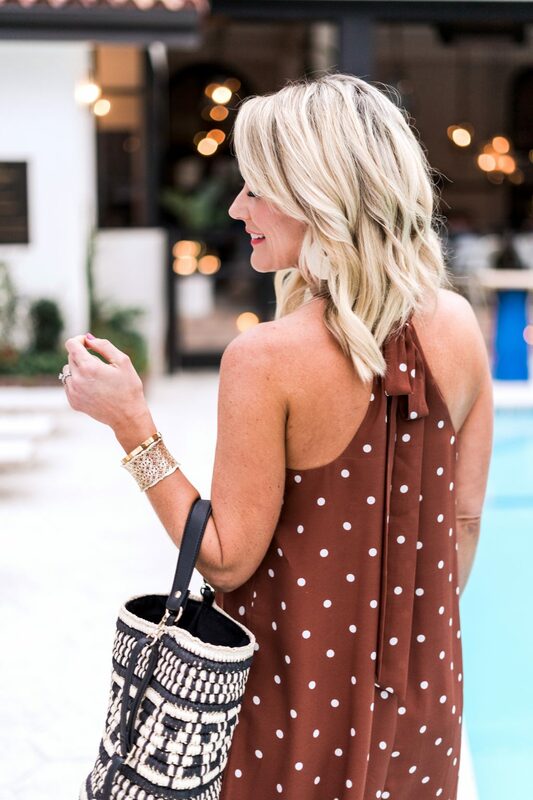 These brown dots were the first to sell out in the Carmel Halter Top, so we added them to both the Catalina Ruffle Romper and Naples Halter Dress! 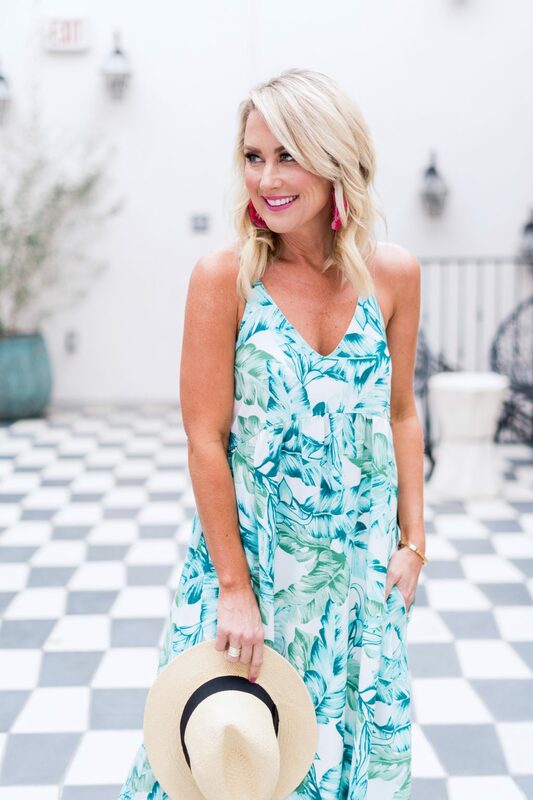 We also restocked all sizes in the Black, Santorini Blue, and Green Palm in this popular day-to-night romper. 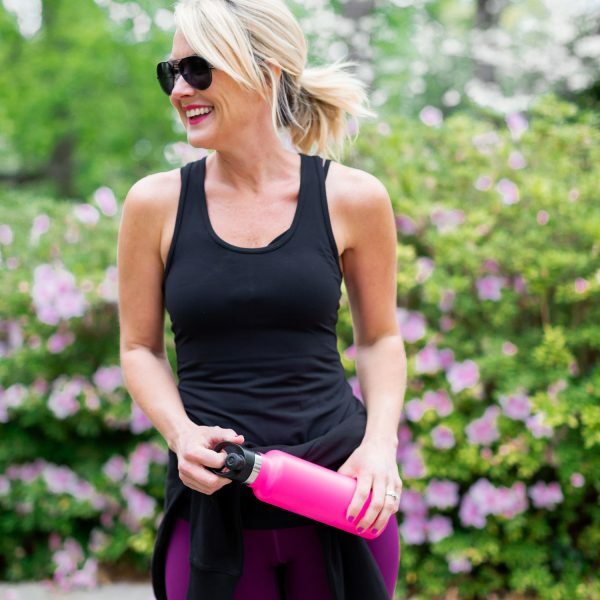 Fit Tip: I’m wearing a regular XS, and it’s completely bra-friendly. 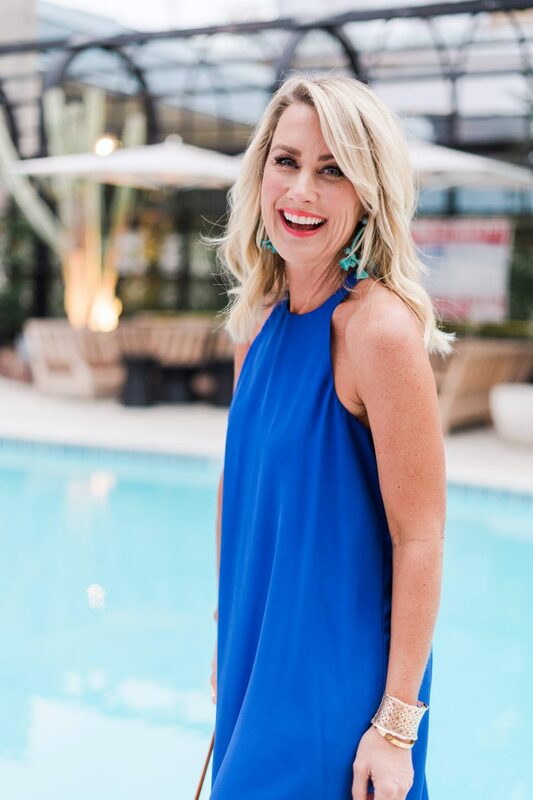 And lastly, the wear-anywhere, perfect day-to-night dress…the Naples Halter is back in Pink Dahlia, Hibiscus and Black…plus, we added Pink Fern, Brown Dot, and Santorini Blue!! 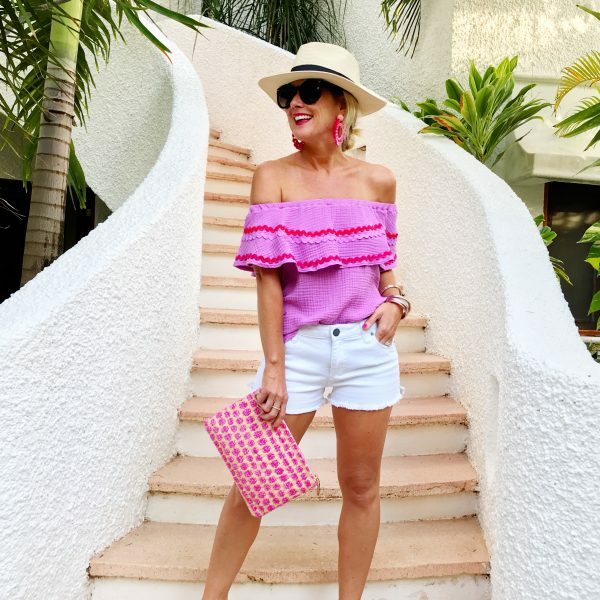 Wear it with flat sandals, heels or wedges…add a jean jacket or statement earring, it’s perfect for so many occasions all Spring and Summer! Fit Tip: I’m wearing an XS, and pair it with a strapless or this stick-on Nubra. So tell me…which new color or pattern are you most excited about? What are you hoping gets restocked next? 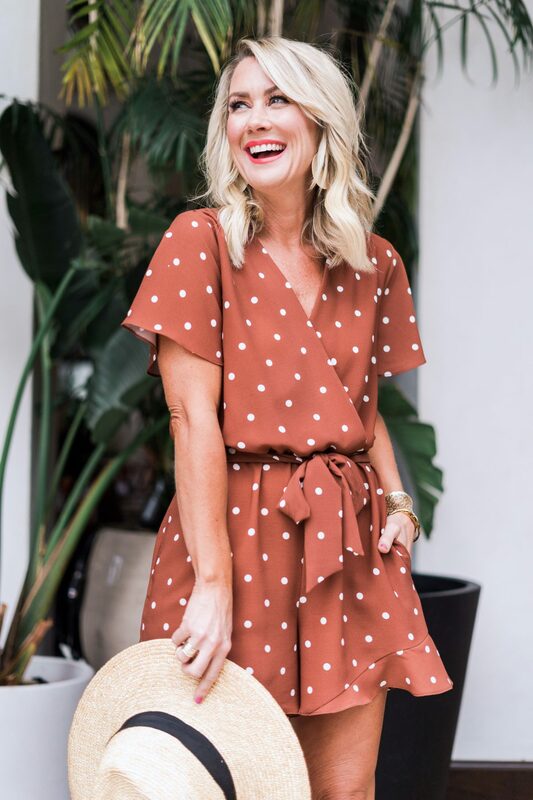 Hey Cassie – love the new fabrics – the brown dot swing dress does not show up as an option on the Nordstrom site. Looks like they haven’t loaded that pattern yet…stay tuned!! Looks like they haven’t loaded it yet…stay tuned! 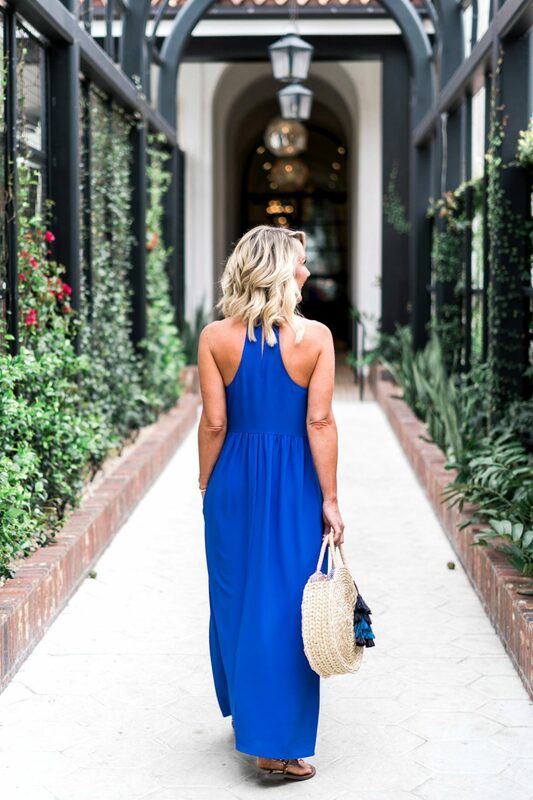 You look divine in the blue maxi dress! I was waiting for this color as it’s my favorite, and have shoes to match so I just ordered it and can’t wait to be able to wear your Santorini blue maxi dress this spring and summer. 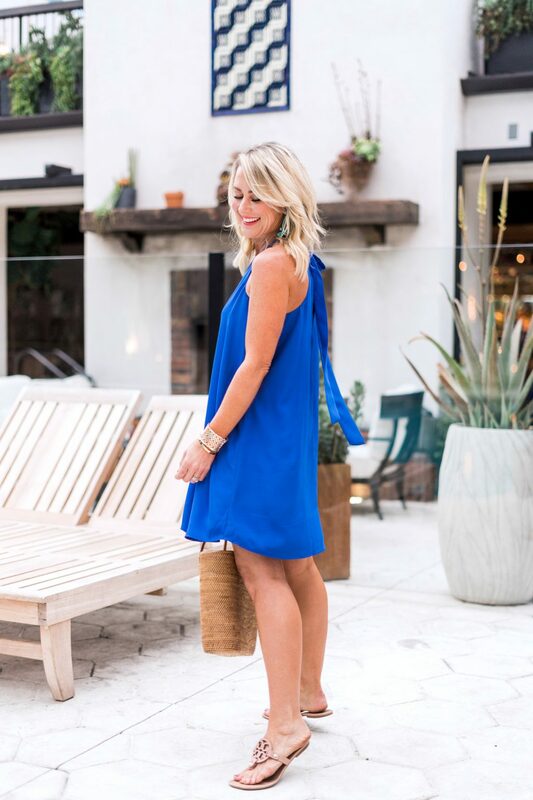 Love the swing dress! Do you think it would be appropriate for an outdoor high school graduation ceremony at a stadium? Thinking its going to get very hot, very fast! Absolutely!!! 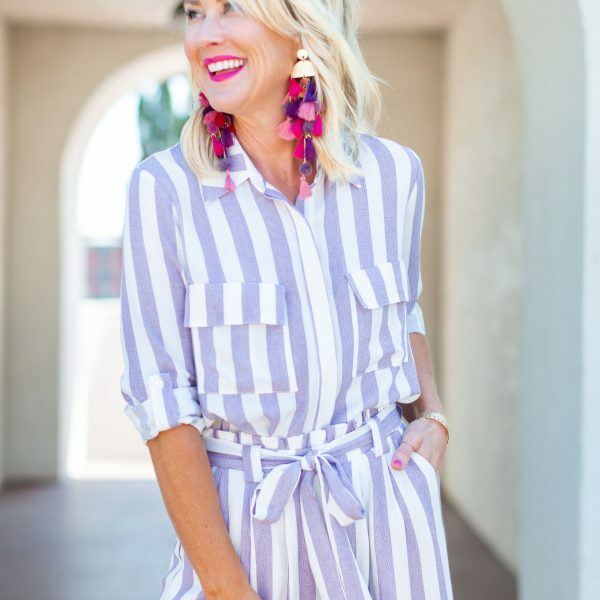 It dresses up or down with flat sandals, wedges, or even heels!! Please make the Carmel v-neck into a dress. 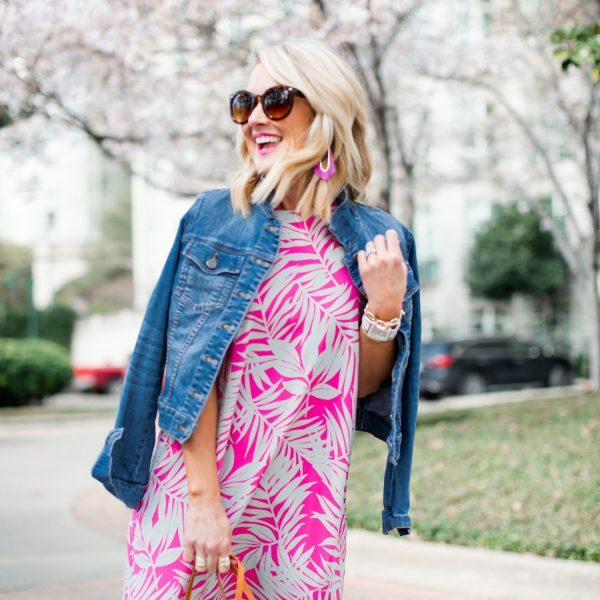 I love the look of the Naples swing dress but can’t do a really high neck. A v-neck would be perfect! 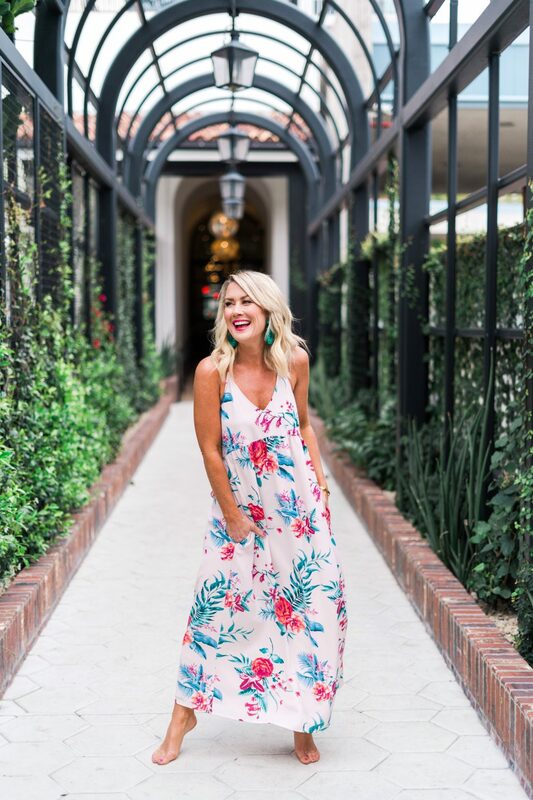 Love the collection, getting the pink floral maxi from the restock. I’m loving the maxi dress! How would you style it for a casual corporate office environment? 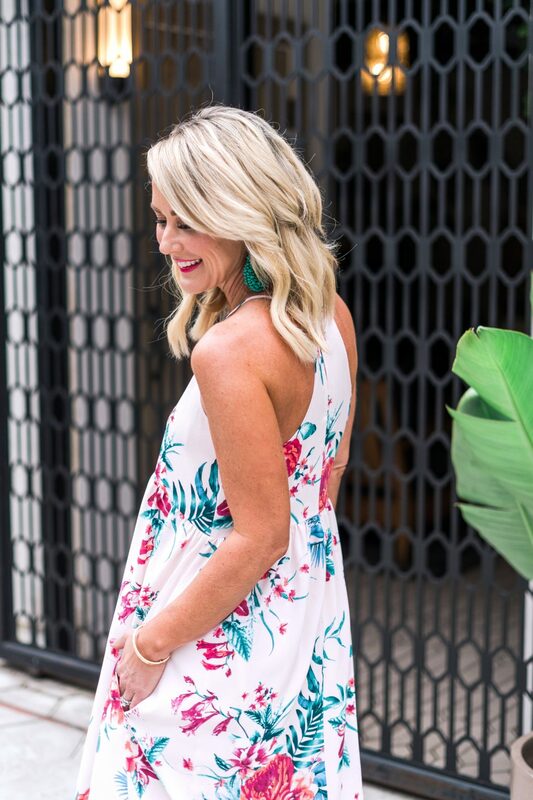 Just found out I’m pregnant and would love to rock the maxi this summer! Yay, congrats mama!!!! I’d wear it with a fitted jean jacket and wedges or flat sandals! Add some gold earrings to dress it up a tad. I really love the high wasted blue and white cropped pants. 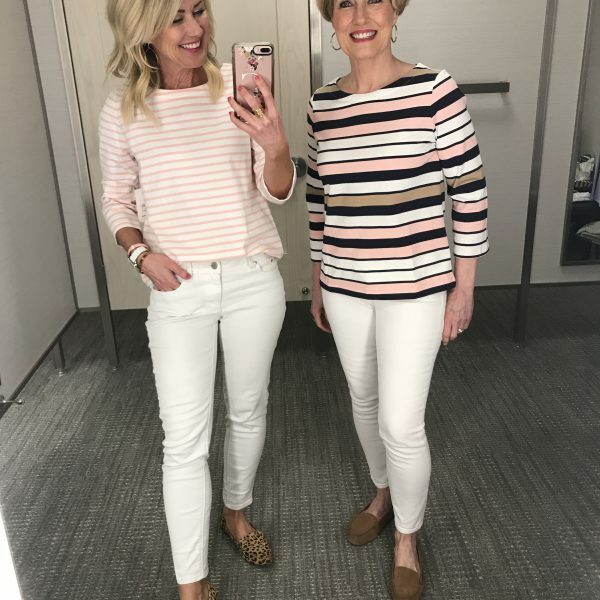 Can you tell me when, or if Nordstrom will have them again? Your clothes are darling. Wish I’d seen them earlier. Great collection and beautiful pattern and colors of dresses. I like your each and every post thank you for sharing this beautiful dresses ideas.